Didn’t get the job – a new career plan needed? We have blogged before about the reasons why you might not have got the job you expected. We’ve given you lots of tips on the mechanics of job applications and about decision making but what about career adaptability? It doesn’t just apply to those who have been in the workplace for a long time. As a new graduate you might need to be “career adaptable”. So how does it work? Career adaptability is about how motivated you are to take action to improve your career prospects. The theory is, that if you are able to demonstrate certain behaviours (in a competency based way) then you might be more able to build your own career success. This could be important if you have met with initial disappointment and it is very likely indeed to be necessary when you progress further through your career and meet unexpected challenges both in the workplace and in your personal life. So, if things haven’t worked out yet or you wonder what your employment future might look like, read on! 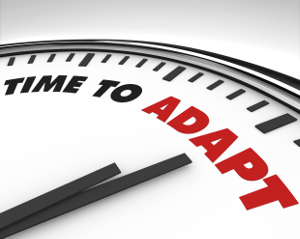 What affects your career adaptability? There are some personality traits which will make it easier for you to demonstrate career adaptability both now and in the future. Here are some the qualities which will help you. If you are to be as career adaptable as possible you might need to work on developing or improving these. Are you someone who wants to take control? This is one situation where it’s no bad thing to be good at taking decisions and on the “control freak” end of the spectrum! If you find it difficult to take control, try setting yourself small and achievable targets. You will probably find that it gradually gets easier. Can you be flexible too? Perhaps the career you initially thought of is not the one for you? You may need consciously to rethink. Rather than wallowing in self-pity, use your energy to re-plan and consider moving in a different direction. It’s good to be proactive. If things aren’t working out as you thought, it might be better to redirect yourself than plough ahead with Plan A. Making a decision to change could be both brave and empowering. Sometimes changing course can be a real wrench (and friends and families can sometimes unwittingly make things worse), but often when you have taken some positive steps you’ll find you feel much better. You’ll need to be willing to do the research to find out more about yourself and the relevant job market. This is particularly important if you are considering a new area you haven’t looked at before. 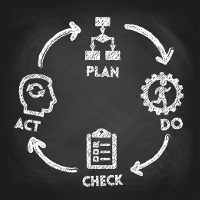 If you are to be able to demonstrate the strongest ability to be career adaptable you are going to need to put together a plan on how you might take action. Think about who might help you, and about where you might focus your activity. Critically add in some time frames for that action. The next stage is to look at “the four “C”s”, the key competencies which determine whether or not you are career adaptable. Think about other situations when you will have displayed these competencies and try to apply this to your career planning. Concern relates to planning and being aware of the possible options which might be available to you. It’s also about how much your career matters to you. If you are “concerned” it implies being involved in your career. A lack of “concern” would lead to indifference about your own career future. This is about your intra-personal skills. It has nothing to do with taking control over others! It means the ability to be assertive, disciplined and to take decisions. You need to demonstrate the self efficacy to progress your own career, other people cannot do this for you. As it “says on the tin” this is about wanting to find out what options are available. You should have developed your intellectual curiosity during your course and you can bring this curiosity to your career planning. Sometimes finding out about careers might be about being plain nosey! Ideally you will be experimenting, enquiring and even taking risks. Internships you have undertaken, and the experience you have gained from working, volunteering and through extra-curricular activity will all be relevant. If you are unable to display this curiosity you might find your career thinking is unrealistic and potentially doomed to failure. You need to believe in yourself and demonstrate a positive attitude towards the job market and the future. If times are tough because you haven’t got the job you wanted, try reflecting back on all your past successes. This should help you to get a better sense of perspective and a more positive mindset. While confidence alone isn’t going to get you the job, not many employers will choose the person who manifestly doesn’t believe in his or her self. You need to be persistent and to adopt a problem solving approach. Don’t be too inhibited in what you are prepared to consider and to try. Remember the job market, and in particular the graduate job market, is improving. There are options! Watch out for our next blog post for some practical advice on how you might make career adaptability work for you. UKCES (UK Commission for Employment and Skills). (UKCES Evidence Report). Tags: Career planning, Competencies, experience. Bookmark the permalink. Previous post ← So you want a career in market research?